The Cleveland Indians were back to their winning ways on Monday with a 5-3 win against the Detroit Tigers after dropping back-to-back games to Toronto following a 14-game winning streak. Carlos Carrasco (4-2, 2.56 ERA) takes the ball for Cleveland tonight. He recorded a season-high 14 strikeouts while holding the Jays to one run on three hits his last time out. Carrasco has allowed just a total of three earned runs through 23 2/3 innings in his last three starts combined, nine scoreless innings of four-hit ball at Detroit included. Indians are 4-0 in Carrasco’s last four starts vs. Tigers. The Tigers turn to Anibal Sanchez (5-8, 6.05 ERA) who was charged with a pair of runs on four hits in two innings while working out of the bullpen his last outing. Sanchez will take the ball instead of Jordan Zimmerman who has been placed on the DL. Sanchez is 0-3 with a 8.79 ERA in three starts against Cleveland on the season, and the Tigers are 0-5 in Sanchez’s last five starts vs. the Tribe. 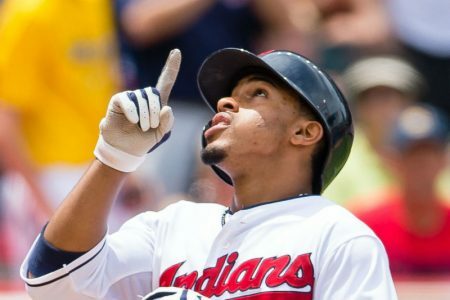 Indians are 8-0 in their last eight games vs. a starter with a WHIP greater than 1.30 and 22-4 in their last 26 after scoring five runs or more in their previous game.